The small European country of Estonia is offering transnational, digital identities to anyone who wants to apply. Citizenship as we know it is pretty simple: you’re a citizen of a country if you’re either born there or if you’ve gone through some process of naturalization. But all that is changing in the digital age, where technology is allowing people to establish a multitude of digital identities — including some that are officially being recognized by countries overseas. For the past year, the Northern European country of Estonia has been offering electronic residency to non-citizens from around the world. 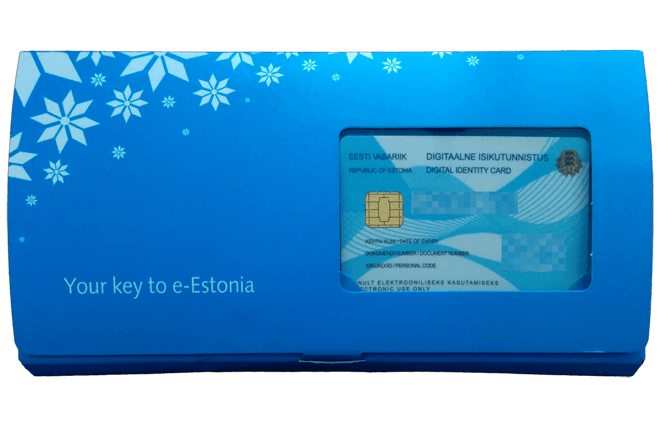 Estonia’s e-residency permits individuals from abroad to use a secure digital signature to start Estonian businesses and open bank accounts online, and to use some of the same online government services that Estonian citizens use. This program — the only one of its kind in the world — offers non-nationals a chance to be granted a secure, “transnational digital identity,” and has been particularly attractive to people who work remotely or run a location-independent business online. Compared to the bureaucratic hoops that one typically may have to jump through to gain resident status in any country, it’s relatively easy to apply to become an Estonian e-resident online, though a visit in-person to an Estonian border control office or embassy is eventually required to confirm the applicant’s identity, to provide biometric data and pass a background check. Nonetheless, the project has proven wildly successful in the last year, with potential candidates signing up by the thousands. “Already by May , we had attained the objective we had set for the whole year [of 2,000 e-residents]. In July, the government set a new, higher goal: to have 5,000 e-residency applications by the end of the year,” said project director Kaspar Korjus, in an article on ZD Net. The plan is to attract entrepreneurs and companies that want to establish business relationships and generate profits from a digital base within the European Union, of which Estonia is a member. According to ZDNet, 240 new companies have been already created by e-residents, while another 530 entrepreneurs are using their e-resident status to operate existing enterprises. A sample Estonian e-resident card. It makes sense that Estonia is the first country to pioneer the idea of digital residency. After all, the tiny Baltic nation of 1.3 million is known as one of the most wired countries in the world, well-known for incubating ground-breaking startups like Skype and TransferWise. In the last few decades, it has set itself apart from its neighbors and from its recent Soviet past by embracing innovative information technology practices head-on, including the idea of a borderless, digital society overseen by an e-government. Central to this model are the ideals of decentralization and interconnectivity at all levels of society, based on an open platform and a transparent, open-ended process. At home, Estonia’s day-to-day technological edge is evidenced by the fact that citizens benefit from a wide array of government services offered completely online: a whopping 600 government e-services are available to citizens and 2,400 to businesses, ranging from electronic filing of tax returns within five minutes (imagine!) to voting digitally. Underlying this digital society is X-Road, the data “backbone” of e-Estonia that seamlessly and securely connects all the country’s various online services and databases for optimized data exchange. All data going out of X-Road is digitally signed and encrypted, while all data coming in is authenticated and logged. With the aim of reducing paperwork and costs, this scalable, inter-organizational data-sharing middleware is built on a decentralized, distributed framework that has no single owner or controller, and its architecture is best described as a distributed service bus. Individual services can be rolled out when they are ready, and agencies and business can pick and choose only the service products they need. Of course, there are risks associated with such a model where everything is online. In 2007, the worst-case scenario became reality when a barrage of denial-of-service attacks took down the websites of the parliament, government agencies, banks and media. Though damage can be minimized due to the system’s decentralized design, the incident has prompted public discussion about what to do with data in such a situation. One possible solution being put forward by the Estonian government is to bring all e-services into the cloud, and storing all databases in so-called “data embassies” in allied countries. An e-resident card is inserted into a USB card reader, allowing for authentication and digitally signing documents securely. Photo: Thomas K. Running, Nomad Gate. 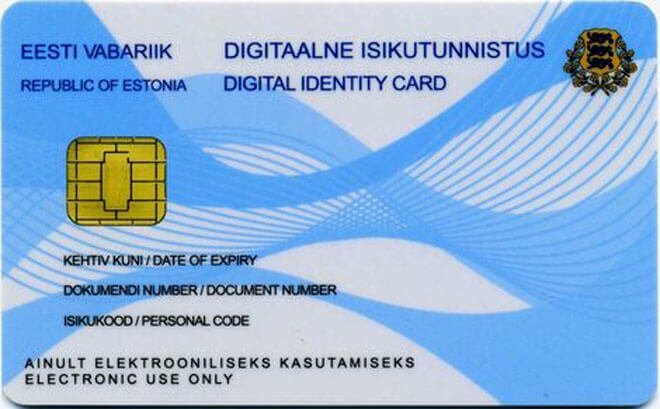 One of the essential outgrowths of the e-Estonian system is a universal electronic ID card that allows its user to gain access to government data, as well as basic services for healthcare, banking, education and legal matters. This smart ID card also has a microchip with a security certificate for authentication, as well as a unique digital signature, thus allowing the bearer to sign, verify and send documents securely with 2,048-bit public-key encryption. These legally binding digital signatures are now so widespread in Estonia that they are now the preferred choice over hand-inked signatures, and has so far saved the government an estimated $500 million a year. E-residents too can benefit from the convenience offered by a similar smart ID card just for them, though for e-residents it’s not yet considered a valid travel document in the real world. 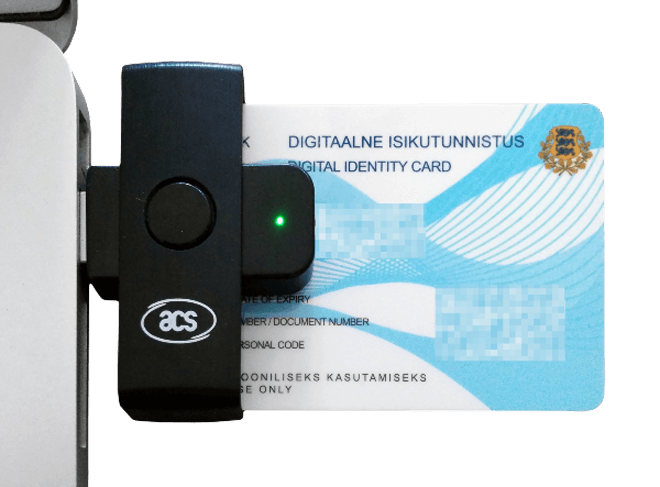 For now, the e-resident ID cards merely gives holders online access to government services and banks in Estonia, as well as permitting them to legally sign documents with a digital signature, and of course, to start a business. Nevertheless, there are plans to further expand the experiment in the years to come. Like in epochs past, what’s intriguing here how the Estonian experiment is inadvertently calling into question old ideas about citizenship, society and nationhood. The notion that a form of government-sanctioned status can be packaged and offered as to anyone in the world who opts to participate in the system digitally is a mind-boggling one — potentially setting off a cascade of yet unforeseen implications for the rest of our increasingly interconnected world. But for Estonia’s government, it’s also a practical business matter. Feature image: Thomas K. Running, Estonia.